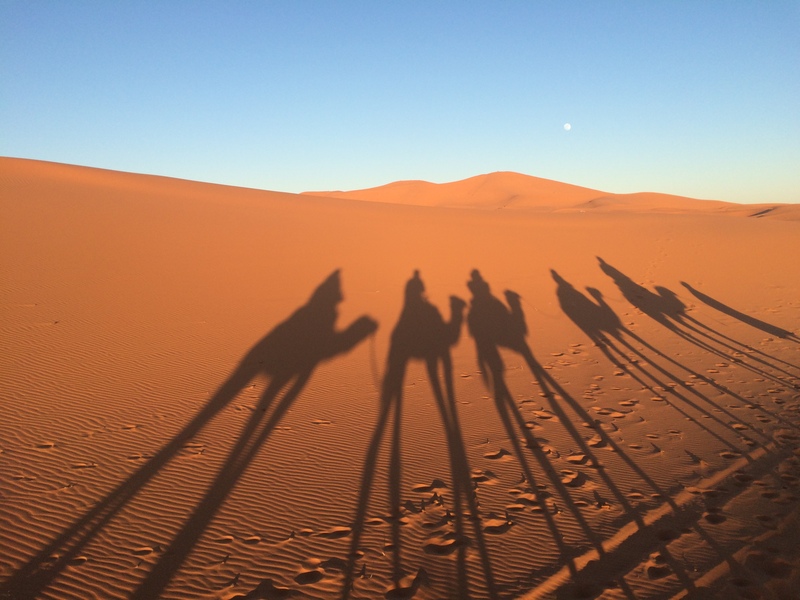 Searching the Sahara for the three wise men….but found ourselves instead. January is upon us with another season of Harmattan cloaking us in a grey blanket of dust. In my rapidly dwindling romantic notions of Africa, I am still surprised that the air here is not a cloud of red, (‘a rain of blood’, as harmattan is described by Almasey in The English Patient), but indeed it is a grey fog which leaves a film of red dust over everything. And if we keep up these romantic notions, can I extend this fog metaphor to the January time of reflections, resolutions, and for our family, anniversaries? From the end of December, our family marks Christmas, the anniversary of my darling mother’s death, my birthday, our wedding anniversary, and in February (14, oh the irony! ), our third Ghanaversary. This is all combined with the excitement, expectation, and to be honest, the sheer relief, of an annual holiday. So to say this time of the year is emotionally charged is somewhat of an understatement. This January also marks the one year anniversiary of the children and I moving to Accra. It has been, without doubt, the smartest thing we have done since moving to Ghana. School is great, we all have the simplest of happiness’s: friends! A social set. But the move to Accra has also meant a whole new adjustment, which to be honest swings from hectic happiness to feelings of jaded frustration and lack of focus. Clearly this has impacted my writing, as life in Accra has taken a turn towards the decidedly ‘normal’. This, combined with a loss of the sense of the new, means I have been less inclined to find the frustrating fabulous and the irritating exotic. As an example I renewed my drivers licence a few days ago. Around the licensing authority is a hive of related industry, a sprawling, dusty courtyard of sorts where photocopies and passport photos must be made, and of course food vendors, who all push their wares from bubbling pots of oil to brown stews and giblet kebabs. Inside the office are ambiguous queues of people, whose emotions range from frustrated to almost despondent. In a society where information is power, a few signs directing us to the correct proceedure would be inordinately helpful, but are, of course, absent. As my time here progresses I have become more determined not to pay ‘the dash’ to facilitate any official process. But after asking the security guard where I should queue first, their very helpful response was followed by ‘Remember to pay me small small when you are finished’. But 45 minutes later, with a small sense of pride, I walked out with a renewed licence, 10GHC worse off, and smiling only at the comment from a man sitting next to me who bemoaned ‘We can’t organise anything in this country’. I guess I can’t always find such mundane activities a perverse adventure, sometimes they are just mundane. While my draft folder is full, the lack of blog posting is intrincally tied to the absurd fear of failure being worse than doing nothing at all. Even writing those words emphasises to me absurdity of failure on my own blog. But I have struggled with my voice over the last few months. From the feedback I get from people in Ghana, they want to read about the practicalities of life here (of which is there is not a great deal of information for expats online), while the swing to the more mundane aspects of life in Accra makes me want to write more generally about life. The writing is a strange dichotomy of wanting this to be record of our lives here and providing information that others may find useful or meaningful in some way. I have let this indecision about the direction the blog should take paralyse me as to posting ANYTHING! Ridiculous, I know. But I’m a classic first-born daughter, always looking for the gold star. January is for most of us a time of reflection. I have used these last few days before reality comes crashing back down to read Gretchen Rubin’s ‘The Happiness Project’, and while I lack her focus on examining every aspect of my life, I do firmly believe that the human condition is to be happy. The most important thing I took away from the book was that for happiness to flourish, it must occur in an environment of growth. We all need to be working towards something meaningful, whether it is as simple (and as difficult) as enjoying our children more, to more challenging tasks like writing a novel or learning French or becoming an astronaut.. I have also read the supremely enjoyable book by Chris Hadfield, ‘An Astronauts guide to life on earth’. Chris is a force of positive energy whose focus is second to none. From a nine year old boy to accomplished astronaut and media personality, his drive and sense of preparedness is extraordinary. And maybe that’s the secret, that this is life….and we’d better make the most of it. It will be over before any of us realise. As a very good friend of mine says, there are three secrets to happiness: 1) Something to do, 2) Someone to love and 3) Something to look forward to. And so January comes and I am probably no wiser than I was in December, but now have a sense that this is writing is for me. I hope this brain dump will break the proverbial wall, and the writing will flow more smoothly. Hopefully youwill derive some pleasure from it as well. And before I procrastinate any more, how about I just push that damn “Publish to six degrees north’ button!! Chris, you are very talented and unique at What you do…..when it comes it comes and we will all be here waiting for you to take us into yet another journey of Ghana, the family and your musing. Oh Chrissie, how I have missed reading your blog. It literally stopped me in my tracks on Burwood beach this morning at a beautiful time in the morning. I was fiddling with my phone trying to get some new tunes & opened my email by mistake. I sat quietly at a place I have not been for a long time & read with joy your thoughts of a new year. I think you have answered your own question about your ‘not really writers block’, just write about what you are thinking, what your feeling & the expat part will naturally emerge. You write beautifully and evoke emotion ( from me at least) the rest of my walk I thought a lot about I would be so devastated not having my mother in my life. It gave me a little awareness how each Decemberust be a very difficult time for you & trying to temper that with Christmas cheer. I’m glad to see you’re back to publishing the “publish” button, Chrissie. This post is sprinkled with many gems. I liked your takeaway from “The Happiness Project,” “that for happiness to flourish, it must occur in an environment of growth.” So true! I also like your friend’s three secrets to happiness. I’m also a classic first-born daughter who hoped to take the perfect approach to blogging. I started with the idea of taking my readers “Behind the Story” of my novel, and I did that for a while with explanations of bound feet and Chinese clothing and the tales that inspired “Tiger Tail Soup.” After a while, I added other topics. I suppose a blog is an evolving creation of its writer. During my first twelve years abroad, I wrote weekly letters home, but I didn’t journal. I wish I had kept a record of my experiences when everything was new to me and then through all the ups and downs of expat life. Thank you for your kind words, and words of encouragement! I think as a ‘classic first-birn’ we sometimes need the encouragement, especially when blogging can feel like talking to a brick wall at times…but I really like your idea of evolution, after all that’s what happens in real life too. You story is a great encouragement for me! There’s no such thing as perfect (said she calling the kettle black) but you’ve hit the nail on the head about expat blogs. At a certain point things stop being strange and exotic and frustrating and just become…normal, mundane, as you say. Why don’t you mix up your posts? 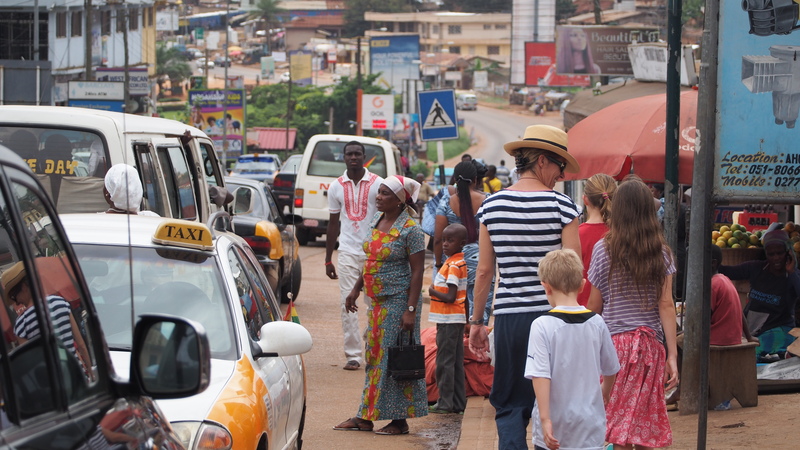 Some focused on advice for others thing of moving to or living in Ghana, reflections on your life there and then the broader observations you’ve been thinking about? Thanks for your words of advice, another reader (and blogger) said it is an evolution, and I think that’s just right. No matter where we are, life does tend to get mundane, and it’s up to us to push through that. Where abouts are you? I don’t recognise the .fm? Thanks Margy!! It’s been great getting back in touch with you. Miss you! 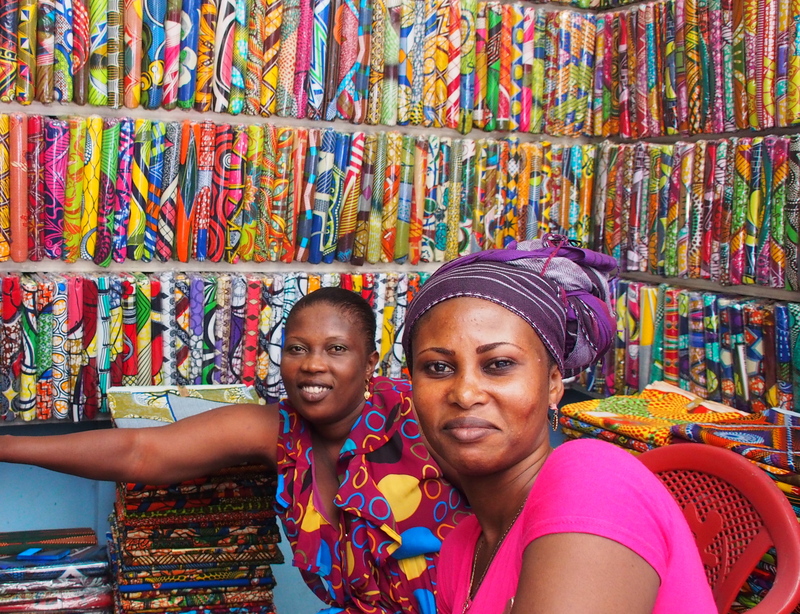 I’m new to your blog and stumbled upon your posts through random web searches on Ghana. Never doubt the ability of your words to reach someone at the right place and time. I can tell you that your blog is a source of reality and connection for many like myself who were born in Ghana but never grew up there and have lived abroad all our life. The dose of reality is also absent from the stories of my Ghanaian peers abroad who often fantasize about their retirement “back home” and luxury lifestyle when they complete their customs build homes. We often have long debates about how practical retirement in Ghana will be, cost of living in Accra for 4-6 months and maintaining a North American middle class lifestyle. I’m looking forward to more, keep posting! Happy New Year to you all. We are just back from New Zealand. We walked the Milford Track, did some cycling, the kids swum in some glacial melt (quite a long way from a glacier but still very chilly indeed, so I didn’t go near it….the squeals were enough warning), had an NZ beach holiday (lovely house, not much swimming) and endured the sand flies.It was great. I’m sure Evie will email Lill soon. It would be great to skype some time soon too.